For many of us, the arrival of sunshine immediately inspires us to book that all important summer holiday. It’s hard to resist the draw of a couple of weeks stretched out beneath the blazing sun, but for too many of us jet lag can put a serious dampener on our getaway. 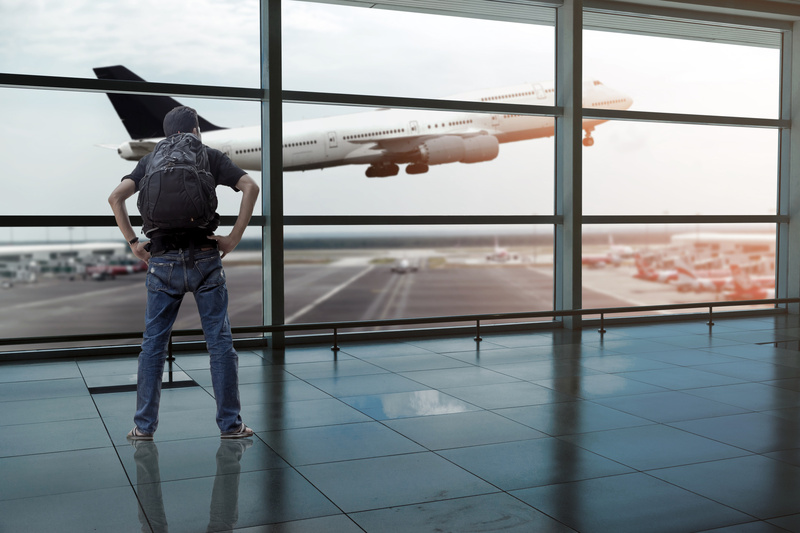 Luckily, it is possible to avoid jet lag and enjoy your holiday from the moment you step off the plane. 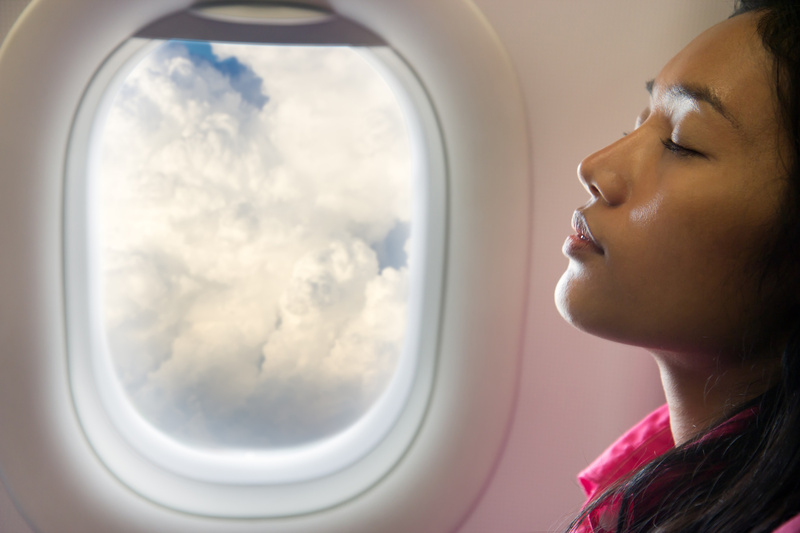 The first step to beating jet lag is understanding it, which is why we’ve put together this handy guide to answer all your questions. Jet lag occurs when your normal sleep pattern is disturbed after a long flight. Due to a shift in time zones, your body clock — or circadian rhythm — has to adjust to a new schedule, which can lead to sleep deprivation and exhaustion. Jet lag can affect anyone travelling across time zones, and the only fluctuations in severity are a result of personal differences. For example, people who stick to rigid routines at home are often worse affected by jet lag than people with more fluid schedules. Young children are also often less affected by changing time zones. The main factor which determines the extent of jet lag is the distance of travel. The more time zones you travel across, the more severe your jet lag is likely to be. What’s more, travelling west to east usually results in worse jet lag than travelling east to west, reflecting the greater difficulty of advancing your body clock compared to delaying it. How do you know if you have jet lag? How do you prevent jet lag? Symptoms of jet lag usually improve on their own after a few days as your body clock adjusts to its new time zone. However, there are steps you can take to avoid severe jet lag. Before you travel: make sure you get plenty of rest, following good sleep practices before going to bed. Try changing your routine gradually, going to bed and waking up an hour or two earlier or later than you normally would (in accordance with your new destination). You should also avoid alcohol, caffeinated drinks and large meals before bed. During your flight: drink plenty of water to stay hydrated, and stay active by stretching and walking regularly. If your flight takes place during normal sleeping hours (in line with your destination) then try to sleep. After you arrive: change your sleep schedule to fit your new location as quickly as possible, and set an alarm to avoid oversleeping. Go outside during the day, as natural light will help your body clock adjust. Try to stay awake until a reasonable bedtime for your new location without relying on naps to perk you up. You can also use effective medication to avoid jet lag. Circadin is a prescription medication which acts as a short-term treatment for insomnia. When taken whole one to two hours before bed, Circadin provides melatonin: the body’s natural sleep hormone, making sleep easier. This can help treat symptoms of jet lag. Contact Express Pharmacy for guidance and treatment for a wide range of health concerns, including jet lag. You can get in touch today using our fast and discreet live chat service, or by calling 0208 123 07 03. Everybody looks forward to their summer holiday, but few of us are as excited for the plane journey beforehand. Whether you are afraid of flying or just hate cramped, hot conditions, many in-flight experiences leave much to be desired. What can you do aboard your flight? Even the most confident flyer wants to know they’re doing everything they can to stay as safe as possible whilst en route to their holiday destination. Thankfully, there are some simple precautions you can take. Comfort is key when you’re on a plane, especially if you’re on a long haul flight and have restricted movement for hours at a time. Opt for loose, light layers that let your body breathe, and be sure to bring a jumper or cardigan to put on if you feel cold at any point. Blood clots are one of many people’s biggest fears regarding a long haul flight, so it’s important to prevent restriction on your body where you can, including through your clothing. You may also have seen special compression socks available in airports or travel stores – these are designed to safeguard against deep vein thrombosis and can be a welcome addition to hand luggage. Some people see the safety demonstration at the start of a flight as a chance to switch off, but the information included in this briefing could be life saving if an emergency does occur on your flight. Be sure to listen carefully to the information being given, paying particular attention to where your nearest exit is and how to put your oxygen mask on correctly. Aeroplane seatbelts are notoriously fiddly, so make sure you’re familiar with the logistics of fastening and unfastening your belt with ease. You should also be paying attention to the seatbelt light above your head, as this will inform you when you need to be in your seat with your seatbelt fastened. One of the worst things you can do on a flight is get stressed. Stress increases your levels of cortisol, which boosts your adrenaline and makes you feel restless. This isn’t what you want when you’re spending the next few hours stuck in the same environment. Take your mind off your flight, bring a book or try to sleep, and let your body and your mind relax. Looking after your health: what is altitude sickness? 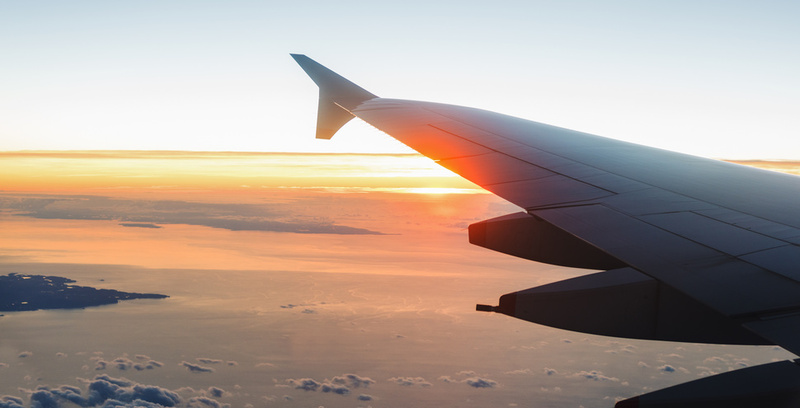 One of the biggest risks to your health when flying is altitude sickness, which is exactly as it sounds: feelings of nausea and discomfort when high in the air. 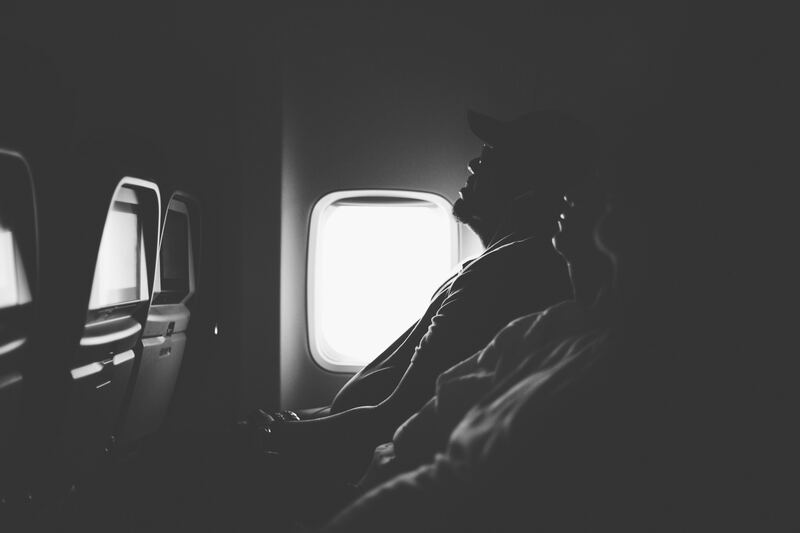 Why do you feel sick when flying? Altitude sickness is a response to a higher altitude and lower air pressure, which can have a negative effect on the body. This combination means that the air you breathe has less oxygen per breath. It also causes the air to be dryer and water to evaporate faster. Aside from the obvious sickness, symptoms of altitude sickness can include tiredness, backache, headache, muscle cramp and light-headedness. Certain individuals may be more susceptible to the condition than others, such as people with existing health conditions like heart disease. Hydration is key to tackling altitude sickness, as a lack of hydration is a key component of the sickness itself. Drink plenty of water and be sure to avoid caffeine and alcohol. You should also try to move around aboard your flight when you can. Doing gentle stretches whilst sitting and taking short walks along the aisle can help reduce your risk of blood clots and deep vein thrombosis (DVT). Finally, you should consider medication to help treat your altitude sickness. Acetazolamide is an effective treatment which reduces the amount of excess fluid in your head and lungs, making it easier to breathe. This medication is available from Express Pharmacy. Before you set off this summer, make sure you know how to keep you and your family safe when you’re up in the air. For more health queries and concerns, you can contact Express Pharmacy today via our discreet Live Chat tool. If you have ever flown long distance, the chances are that you will have experienced jet lag to some degree. 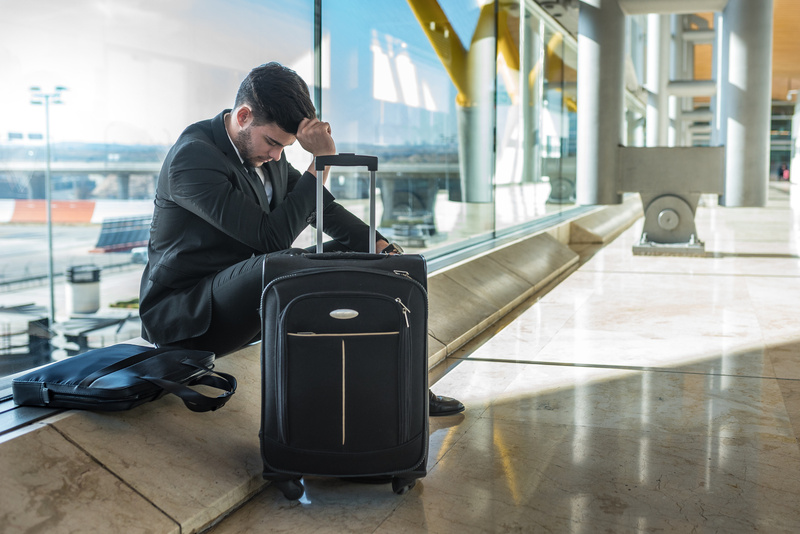 Jet lag occurs when our bodies have to rapidly adjust to a new day and night schedule, throwing our circadian rhythms out of balance and leading to feelings of exhaustion, restlessness, nausea and dizziness. It’s not pleasant, and can put a dampener on the start of your holiday, so what can you do to try and lessen your symptoms? Unfortunately, there is no outright cure for jet lag. But there are several things you can do to ease the problem and stop a change in time zone from ruining your break. When on a long haul flight, your best bet is to sleep as much as you can. However, many of us find it difficult to sleep effectively on uncomfortable plane seats. So if you’re not sleeping, the next best thing to do is get up and move around as regularly as possible. Moving around the plane — or even just doing a few simple stretches every now and then — will help keep you mentally and physically active and prevent blood clots by keeping your blood pumping. It will also help you sleep better later on, as you’ll feel less restless. Natural light plays a big part in your circadian rhythm. Studies have shown that bathing yourself is natural light is one of the most effective ways of combating jet lag as it encourages our release of serotonin — the hormone which provides us with energy. Once you arrive at your destination, take a short walk and indulge in a little sunlight before attempting to sleep. This will help your body get used to its new schedule. The seriousness of your jet lag often changes depending in which direction you fly. Travelling eastward makes jet lag worse, because travelling in this direction causes you to lose hours in your day, making it harder for your body to catch up with itself. It’s much more difficult to adjust to losing hours than gaining them, so if you’re travelling east this summer take extra care with your sleep health. Dehydration leads to many of the same symptoms as jet lag, such as fatigue, nausea, headaches and dizziness. This means that being both dehydrated and jet lagged can make your condition even worse. Regular hits of cold glasses of water are a good way of keeping unnecessary symptoms at bay, and will also help you feel more alert. Not to mention, all those extra bathroom visits will force you to be more active on your flight! There is a myth that having a few drinks on a long haul flight will help you avoid symptoms of jet lag. Unfortunately, this is not true. In fact, the opposite is typically the case. Alcohol might help you fall asleep faster, but it’s also guaranteed to lower the quality of the sleep you are getting. This will make you feel more tired and more irritable, as well as increasing your risk of dehydration and therefore extra, unwanted symptoms. A cup of coffee can actually improve your symptoms of jet lag, but only when used in the right circumstances. If you’re travelling west then a cup of coffee at the right point in your journey may help you stay awake for longer by providing you with an extra burst of energy. However, drinking coffee when you’ve lost time could prove disastrous as you should be aiming to relax your body in preparation for sleep. Travelling east? Avoid caffeine. At Express Pharmacy, we stock Circadin, a prescription only medication containing Melatonin. Melatonin is a naturally occurring hormone in the body and is used to help treat the symptoms of jet lag. Find out more here. Whether you are travelling abroad for work or escaping it all for a relaxing week away, feeling healthy and fresh on arrival, is always a bonus. Unfortunately those trips that involve crossing multiple time zones can wreak havoc with our internal body clock – commonly known as jet lag. Jet lag goes far beyond simple fatigue. In fact, there are a whole range of symptoms that can occur when our bodies struggle to adapt to a new light-dark schedule. Along with the common symptoms of disturbed sleep and lethargy, sufferers may experience a change in appetite, digestion, blood pressure and body temperature. And while jet lag is inevitable when you are crossing 7 or more time zones, there are a few easy tips that can greatly reduce its effects. As tempting as it maybe to order a few glasses of wine or bottles of beer during a flight, it is something that definitely should be avoided if you are travelling long haul. Drinking alcohol may feel like a nice way to relax and may even help you nap. But the resulting dehydration will do you know favours and probably give you a nasty headache. It’s important to be aware that while alcohol can make you feel drowsy, it does not result in quality, restful sleep. One of the most effective methods of fighting jet lag is to stay hydrated before and during your flight. This means watching your alcohol intake the week before flying to avoid dehydration. A little bit of exercise before you fly is a great way to beat in-flight lethargy and you don’t necessarily need to commit to a full workout, either. Just make smart choices at the airport, instead of taking the escalators and travelators, take the stairs or carry out some light stretching before you set off for the airport. Remember, you are going to be sat in a small space, for many hours so it is important to maintain blood circulation. Getting up and taking a walk whenever possible can help to keep your blood moving and prevent any numbness. Even whilst seated, stretching out your legs and wiggling your toes can help to keep your body in a better condition. It will also help to reduce the likelihood of deep vein thrombosis. It is important to psychologically adjust to your new time zone as soon as possible so you are mentally prepared for the alteration to your sleep–wake cycle. Changing your eating schedule to match your new time zone is a great place to start. If you land in the morning, make sure you eat breakfast even if you are not hungry to get you settled sooner. Adjusting your sleep schedule the week before you travel can be a tricky business, but thankfully there are plenty of apps out there that help you create and stick to a helpful sleeping plan before you go. It maybe a popular tactic, but taking sleeping pills on-flight should be avoided as they will only add to your drowsiness on arrival. However, there are other forms of medication that are better suited to tackling jet lag. Circadin is currently the only medication available with the active ingredient Melatonin – the hormone that regulates the sleep–wake cycle. If you want to find out more about Circadin directly, talk to a member of our pharmacy team by using our Live Chat tool.